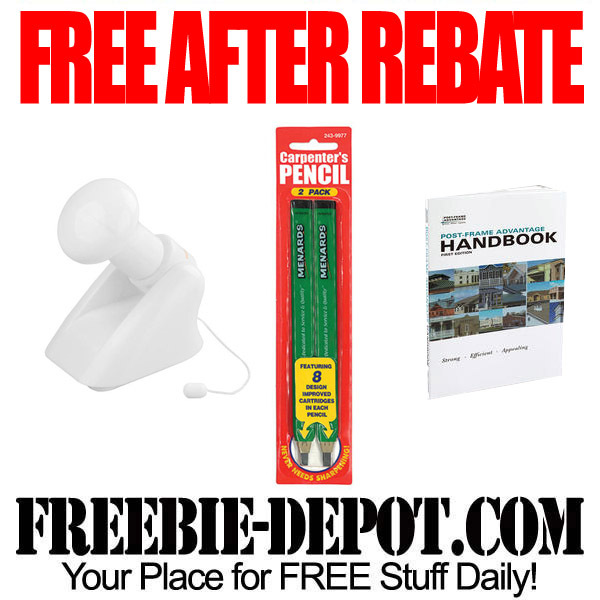 Menards has 3 new FREE After Rebate offers that are valid through 11/17/13. You will find these items in their BIG SALE Flyer. Menards rebates are EASY! They print out a rebate receipt (above) with your regular receipt when you pay. It will print the rebate number right at the top. You then go on line to fill in and print out the rebate form. Then mail both pieces in to the address on the rebate form. 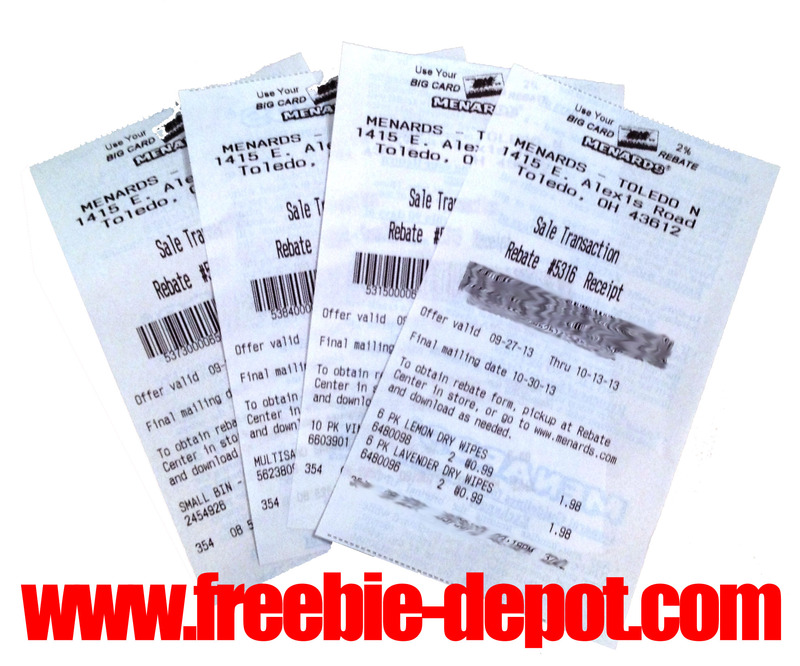 PLUS, if there is more than one rebate going to the same address, you can mail them in the same envelope. PLUS a Double Dip Tip ► be sure to use a miles or points earning credit card for your Menards FREE After Rebate purchase! It’s like getting FREE airline miles!